Blondie and I sample the Shake Shack's Bananas Foster last Mardi Gras and can attest that it's certifiably delicious. 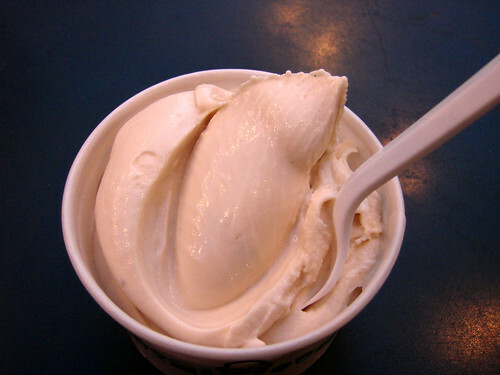 The custard had a light banana flavor with hints of caramel and rum. The first thing out of Blondie's mouth was "mmmm, it's boozy." For those of your who want to keep in the Mardi Gras spirit, this custard flavor is available Tuesdays at both the Madison Square Park and Upper West Side locations through the end of the month. Oh, you've added an extra stop on my to-do list today. Yum! what is with the whole americans and custard thing? I don't quite understand, is it the same as British custard? The flavours sound yummy tho!